What? 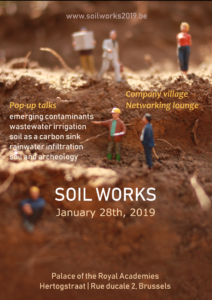 An exceptional networking event where the corporate world can meet professionals, scientists and students to talk about projects and jobs with SOIL as central theme. The central atrium will be reshaped into a meeting booth with company areas and discussion areas. Throughout the afternoon, several pop-up talk will inspire the public.